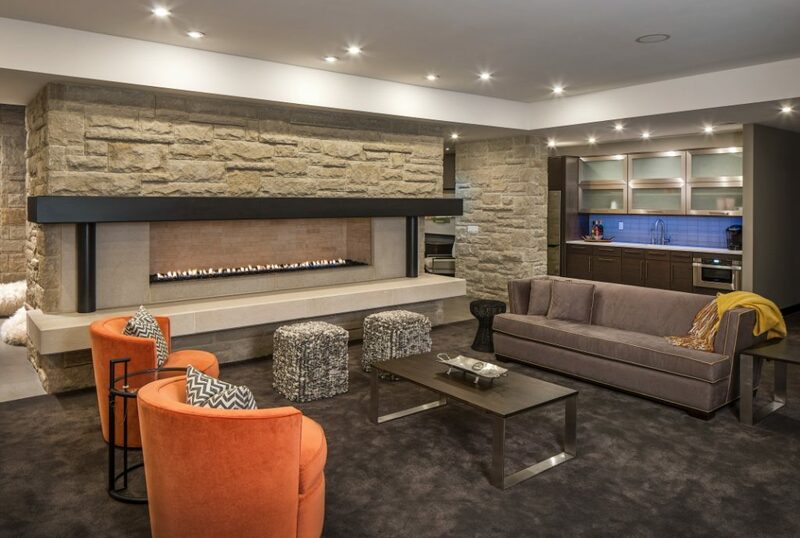 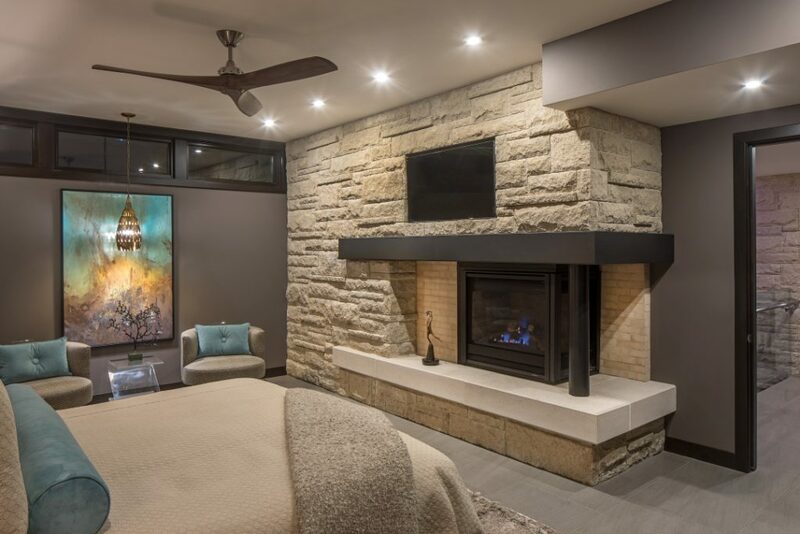 This upscale single family home is situated just over the crest of a hill on one of this community's premier residential lots. 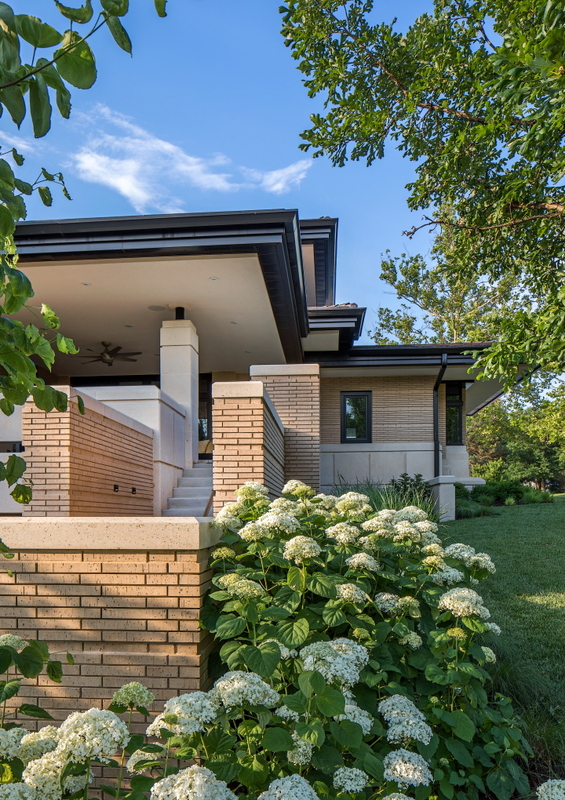 Located on a triangular site, the house is fully exposed on three sides, and frontally faces a 1920s neighborhood gateway into the surrounding Country Club Heights district. 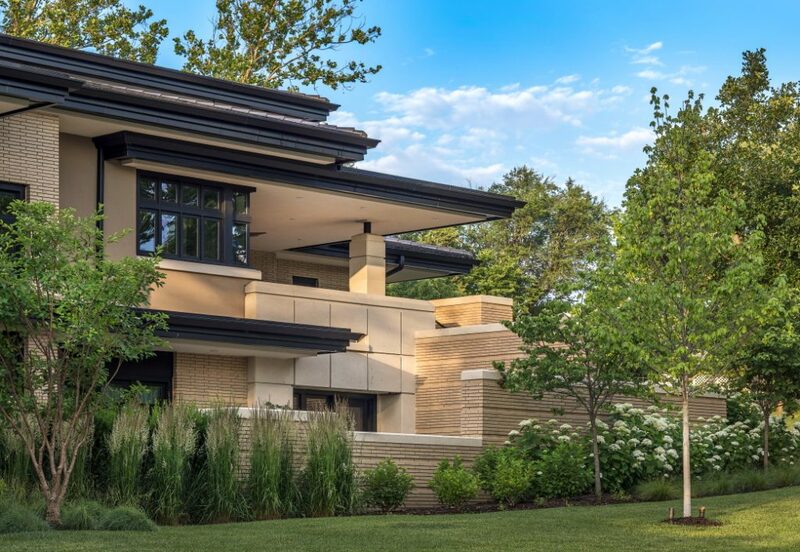 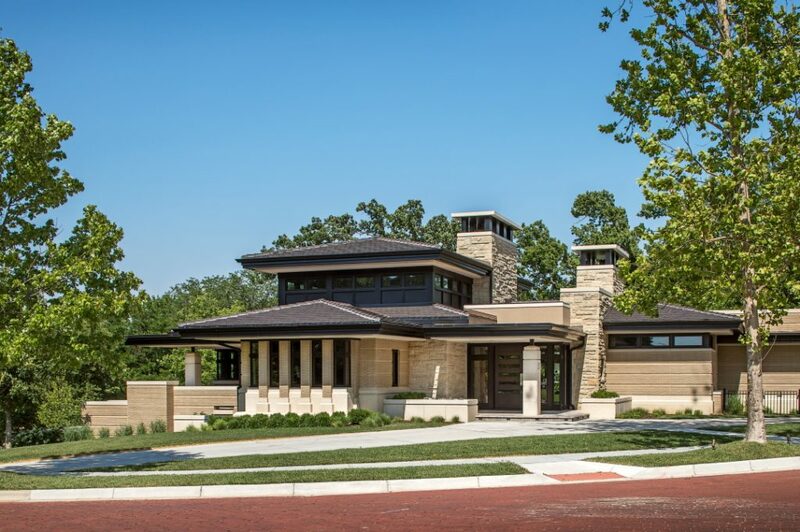 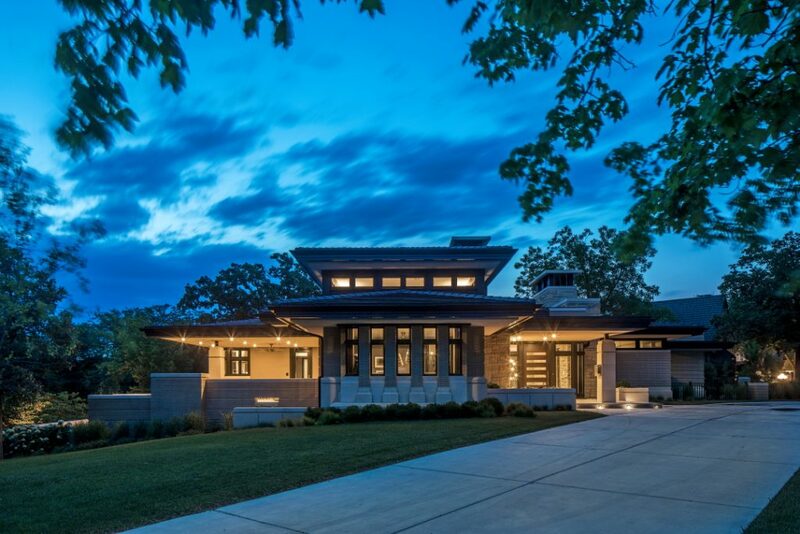 Aesthetically inspired by American architect Frank Lloyd Wright's well known Prairie Style, the massing of the home graciously descends its sloping site in a rambling composition of rectangular building forms. 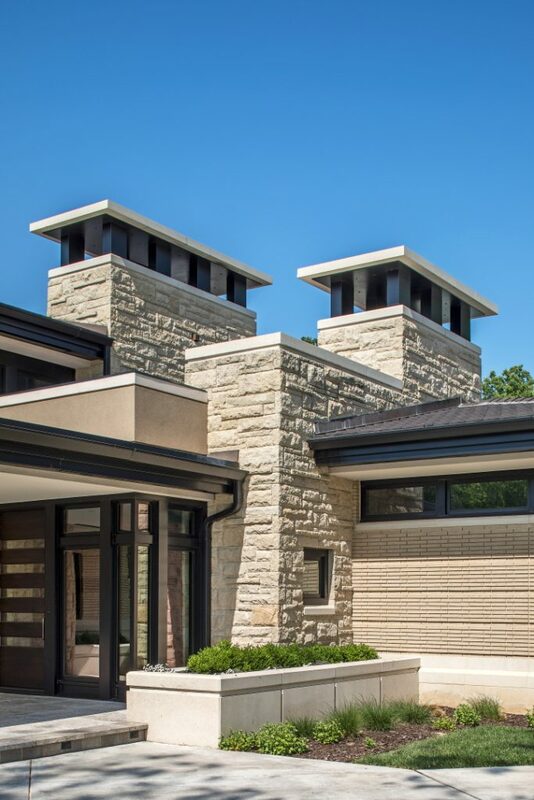 Overhanging eaves accent the buff-colored masonry and local limestone architecture with striking dark-bronze horizontal lines. 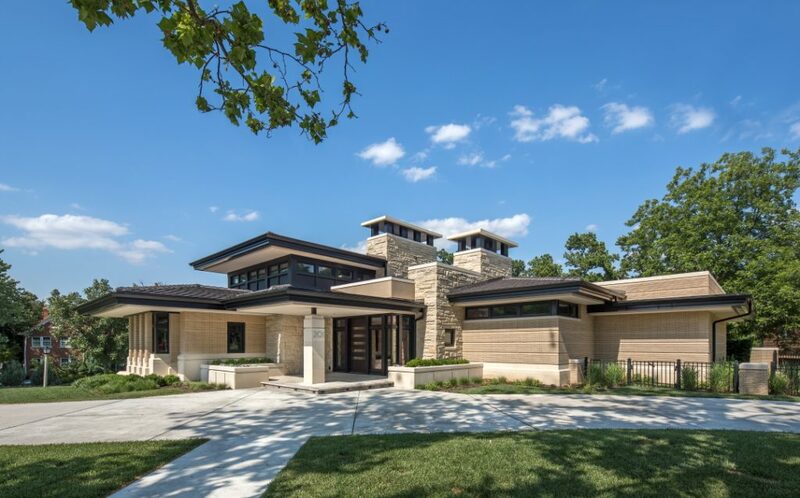 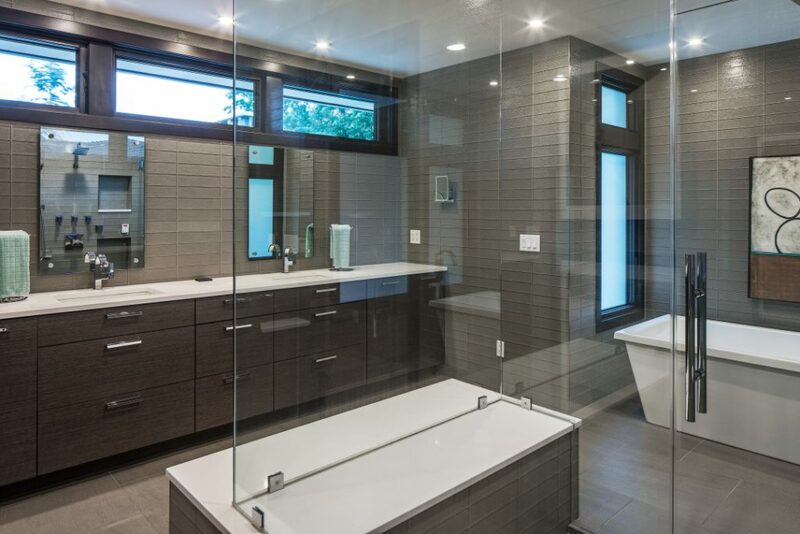 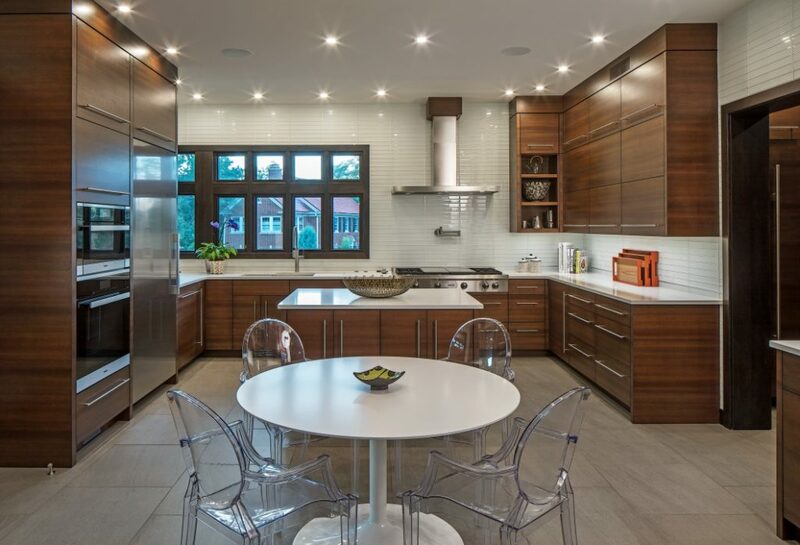 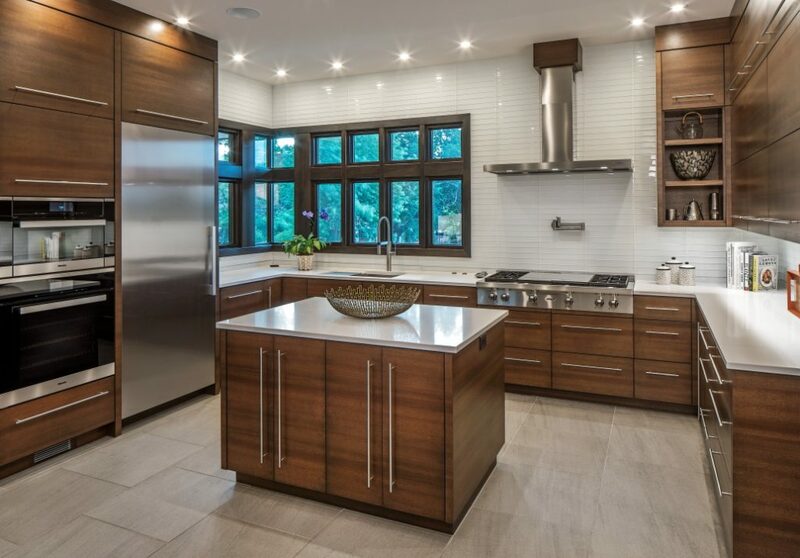 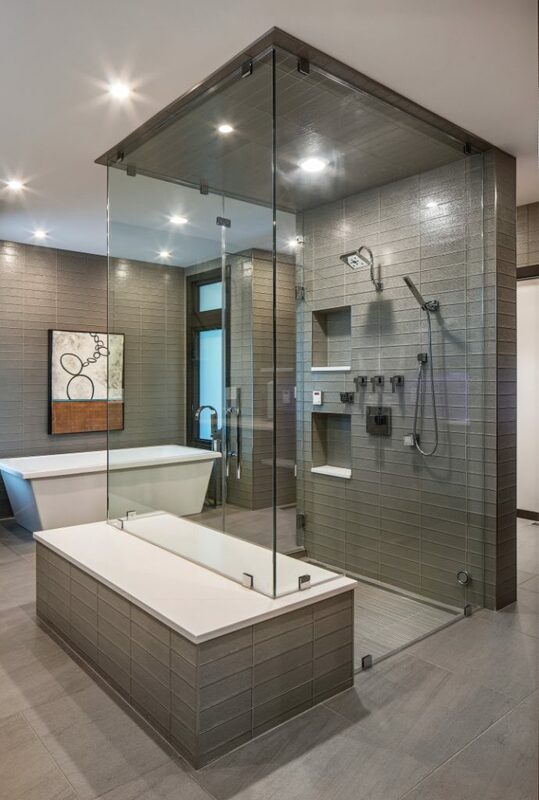 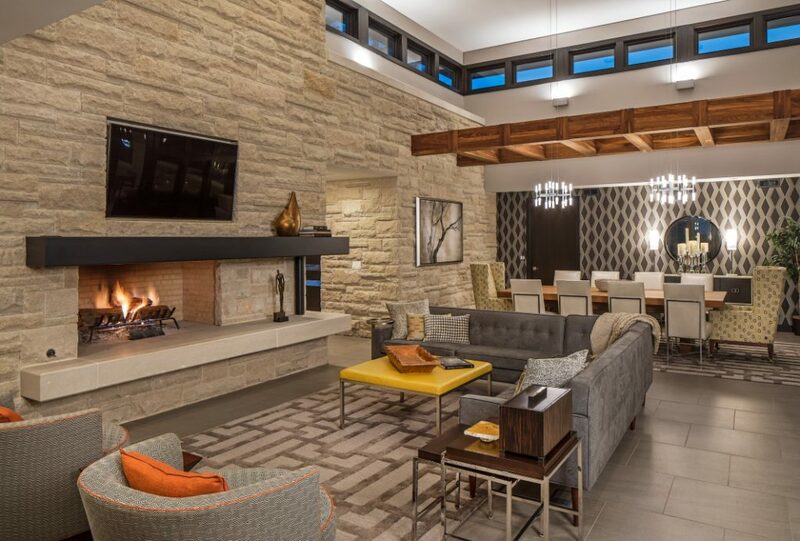 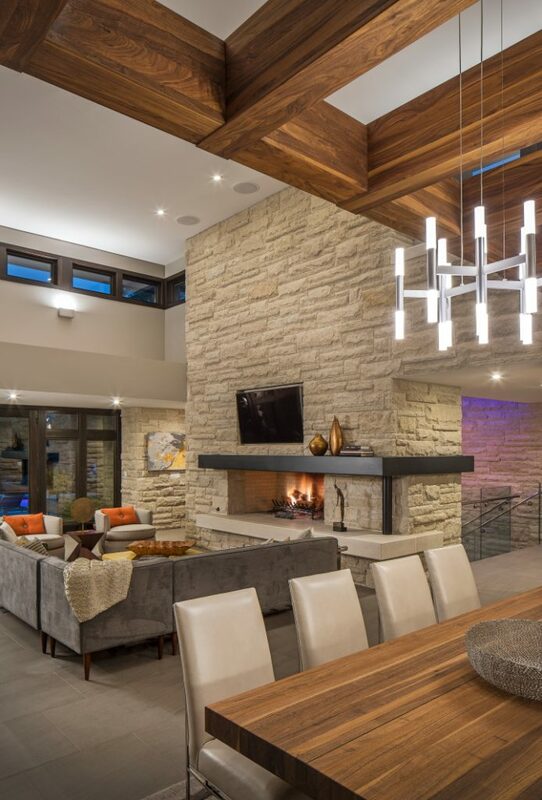 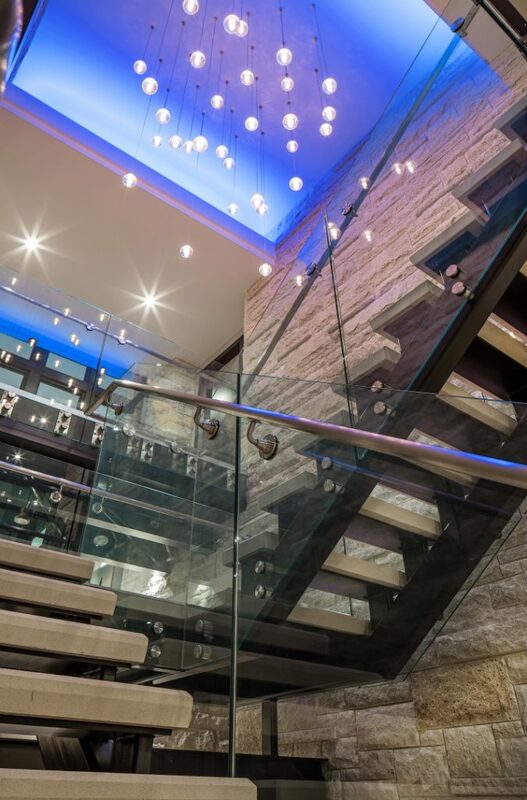 Clean and contemporary detailing bring a visual freshness to what would otherwise be a traditional interpretation of Prairie Style architecture. 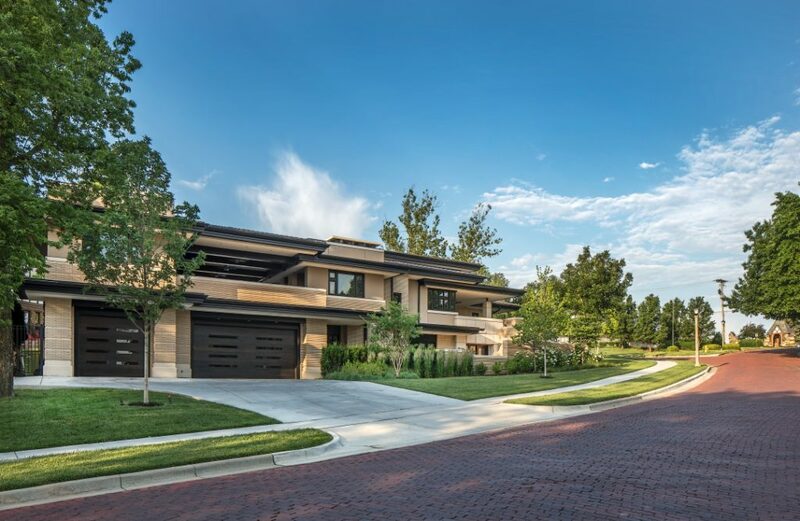 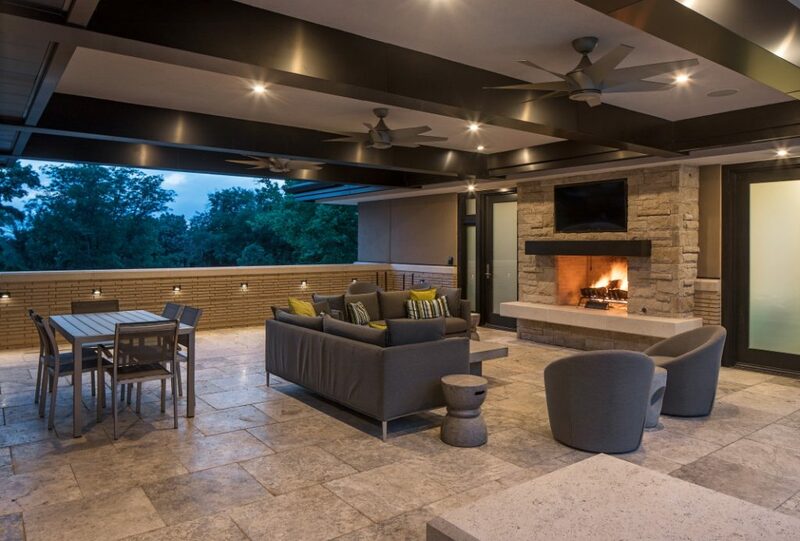 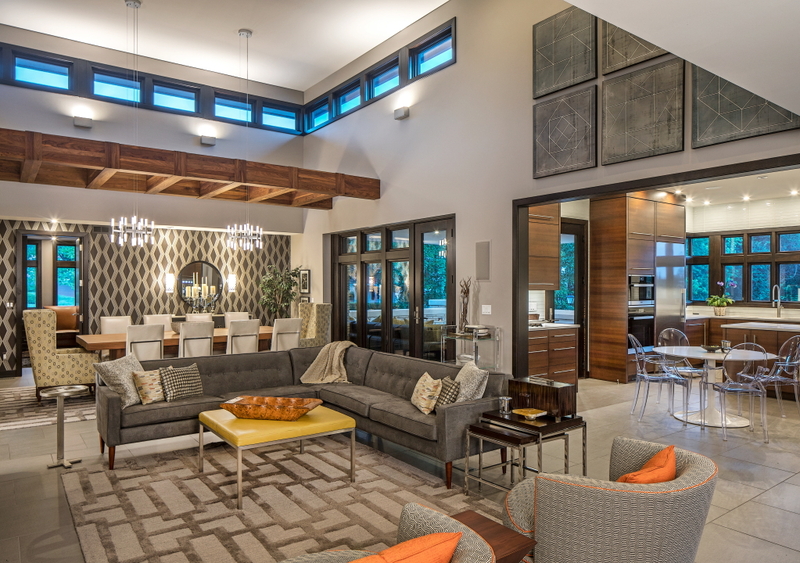 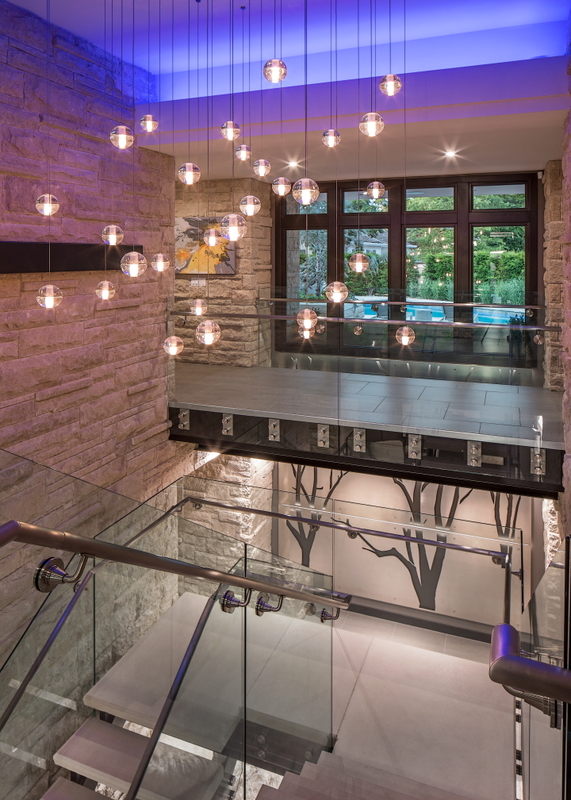 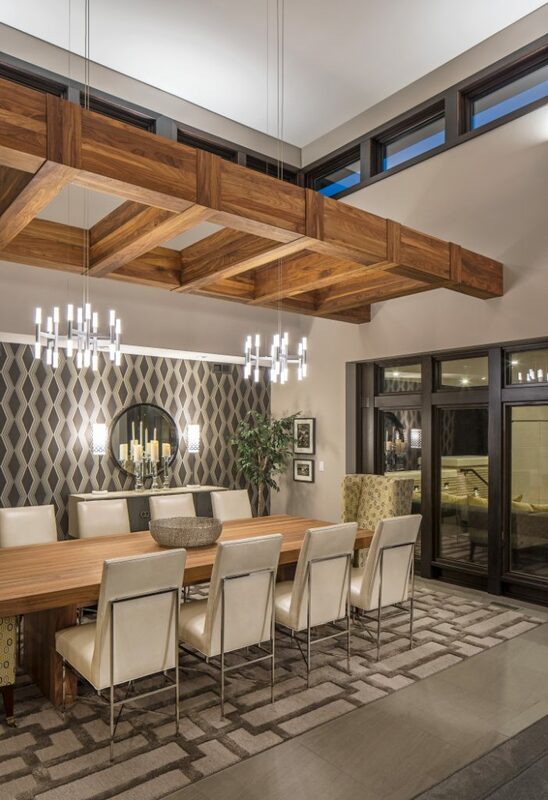 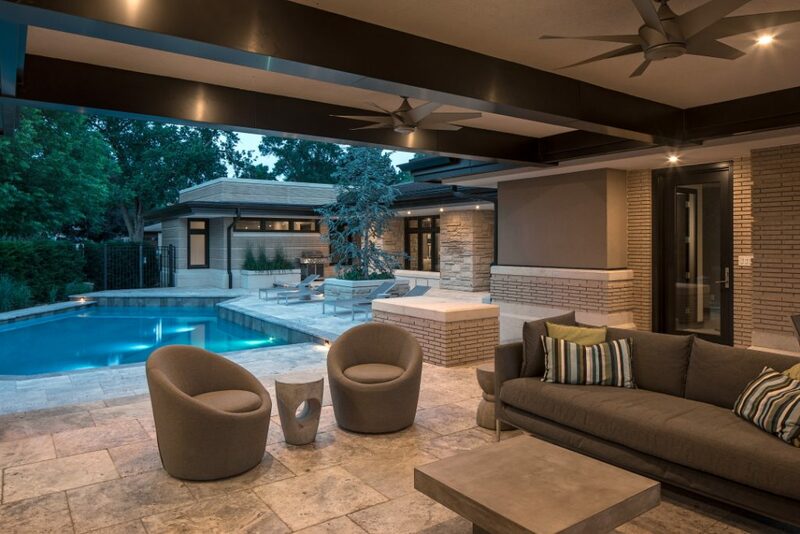 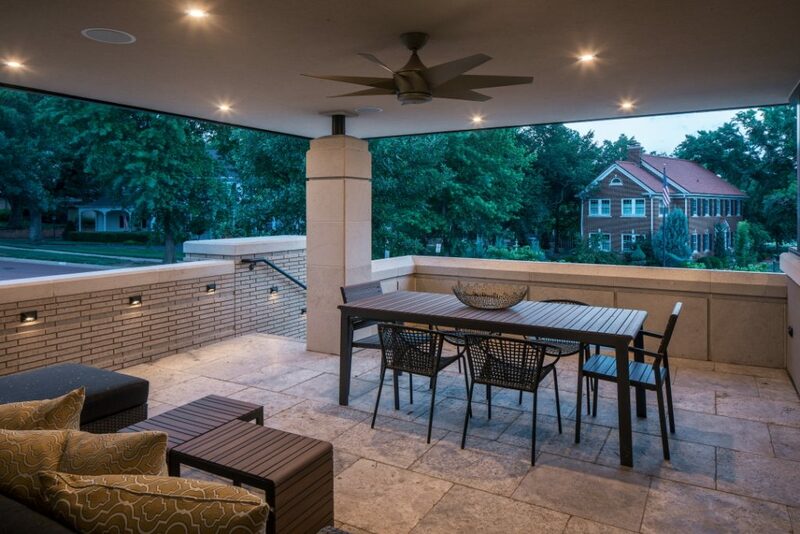 Exaggerated and cantilevered roof overhangs, large covered outdoor porches, a central clerestory and the impressive clustering of windows encourage dramatic contemporary living with a flair for entertaining. 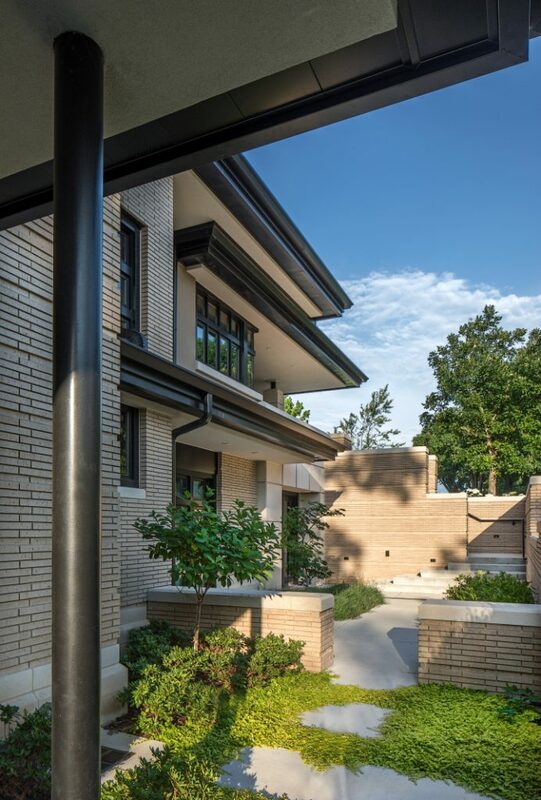 The central courtyard features an angular swimming pool that goes further to blur the lines between inside and out, expanding the very notion of traditional Midwest living. 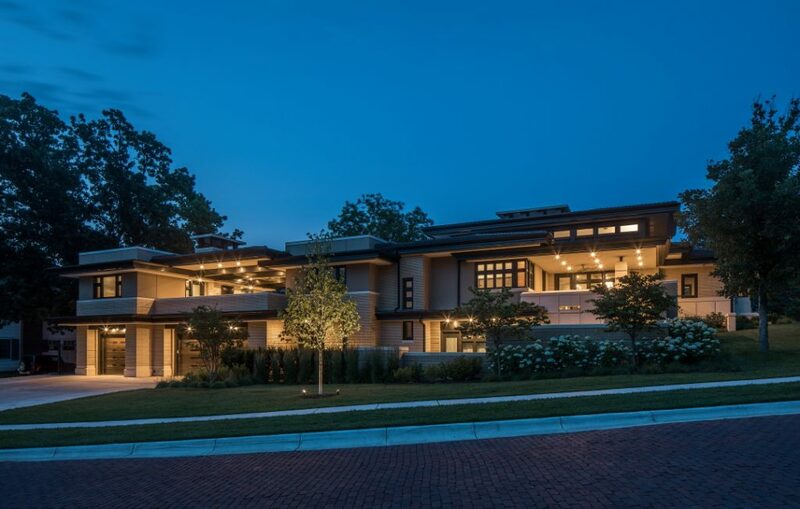 Architect: Mr. David E. Exline, AIA, NCARB, Exline Design & Architecture; Local Architect: Mr. Jeff Gillam, JGR Architects; Interior Design: Ms. Ann Arkebauer, Ann Arkebauer Design; 3D Imaging: Mr. Mike Munson, Munson Studios; Structural Engineering: Mr. Jim Manley, Manley Structural Engineers; General Contractor: Mr. Scott Carney, Carney Construction.